All federal loans set to follow the Direct Loan program format. Lost in all the hype over the passage of the landmark health care bill was a provision in the bill to revamp the federal student loan program. The legislation will put an end to the popular FFEL Program and thus push all federal college loans into the Direct Loan format. The Federal Family Education Loan Program (“FFEL Program” or “FFELP”) is often referred to as the federally guaranteed student loan program. 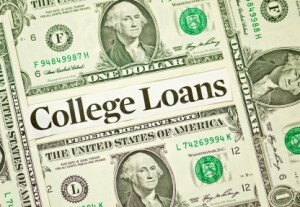 In FY 2008, approximately 75% of all colleges participated in this lending option. As opposed to the loans originating from the federal government, in the FFEL program the loan funds come from banks and other financial institutions. Because of the large number of entities offering such loans, colleges participating in the FFEL program were able to maximize borrower choice. In addition, the FFEL program offered the same set of loan options as the Direct Loan program: Stafford, PLUS and Consolidation loans. 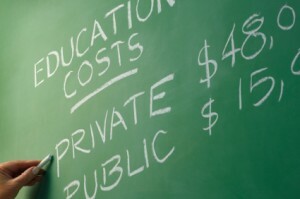 Funds for the William D. Ford Federal Direct Loan Program (“Direct Loans” Program or “DLP”) come directly from the US Department of Education (which gets the funds from the US Treasury). Because of the funding source, this source of aid has not experienced the same funding issues as FFELP has during the current credit crisis. Critical differences have begun emerging within the two programs. First, as noted above, as the credit crisis worsened and banks tightened their lending practices, less money was available to students in the form of FFELP loans. In contrast, DLP loans remained available. Unfortunately, the Ensuring Continued Access to Student Loans Act of 2008 (ECASLA) did not address funding issues in all loan programs, just the Stafford and PLUS loan programs. The indirect result was that consolidation loans originating after October 1, 2007 became unprofitable for FFEL program lenders. Because of that development, most of the FFELP lenders have stopped offering consolidation loans. In contrast, consolidation loans continued to remain available from the Direct Loan program but borrowers in the FFEL program generally could only consolidate their loans by moving into the Direct Loan program. Two other major differences tend to make the Direct Loan option a better one for students. First, the interest rate on the PLUS loan maxes out at 8.5% in the FFEL Program. For the Direct Loan program, the maximum rate tops out at 7.9% for the PLUS. 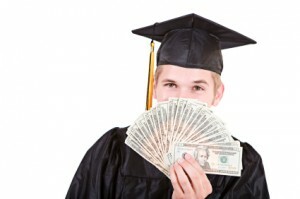 However, the interest rate on the Stafford Loan is identical in both programs. Independent analysis has revealed that parents are more likely to obtain a PLUS loan approval in the Direct Loan program than in the FFEL program. The 2007-08 National Postsecondary Student Aid Study (NPSAS) suggests that the Parent PLUS loan denial rate in the FFEL program in 2007-08 was double the Parent PLUS loan denial rate in the Direct Loan program. Lastly, the new Public Service Loan Forgiveness option is available to students only in the Direct Loan program. On the plus side, according to the Congressional Budget Office estimates, eliminating the middleman from the loan process will save the federal government between $6 billion and $7 billion per year. Those savings are reportedly possible because the government has paid private banks billions of dollars in subsidies to encourage those institutions to loan to students. On the negative side, the changes will result in the loss of a number of valuable agencies. But for most college students, the major question centers upon how the legislation affects them and their families. The answer is that it will impact students according to their financial status. An enormous increase this year in Pell grants was set to create a major shortfall in fund for many low-income students. The legislative change ensures that the Pell grant program will not only remain solvent, it will provide annual increases in the maximum grant allocation for the foreseeable future. Second, the funding level for students will be more secure. Therefore, those students who recently found loans drying up during the fiscal crisis will now know that such funds will remain available. Lastly, the legislation will do nothing to negatively impact existing loans including private loans. But for those individuals who later qualify for the Income-Based Repayment Program, the capped rate will drop from 15% to 10% of discretionary income and shorten the repayment window from 25 to 20 years. In actuality, the greatest impact will be felt with the school’s financial aid officers. One critical outcome is that those individuals will no longer play a role in which private lenders are used to originate those loans for students. But of course, at this point, only the House has approved the bill. The Senate is scheduled to take up the bill later in the week. How could and increase in the Pell grant result in a shortfall in funds for low-income students. Isn’t the Pell grant exactly for them? The average student receives less than half of the advertised Pell Grant maximums. Increases in the Pell Grant program are touted by politicians, even though the vast majority of students cannot qualify for them.